Aquila is a gift shop bursting with colour and quirky affordable gifts made by UK based designers and artists. The emphasis is on both quality and price it is the perfect destination for your holiday shopping. From luxurious 100% cashmere wraps (all made in scotland) to hand made soaps there is something to suit every taste and budget. We are delighted to be a stockist of Ron Lawson prints and over the past few years Aquila has sent them to customers living in all corners of the world. 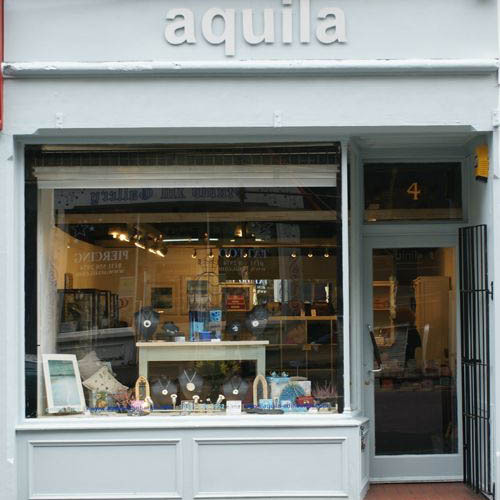 Aquila is amongst the best recommended gift shops in Edinburgh according to Trip Adviser. Situated on Jeffrey Street, just off the Royal Mile, in the Old Town of Edinburgh, Aquila offers that little extra when it comes to finding that special gift when visiting Scotland’s Capital City.